Recently we witnessed another episode in the ongoing campaign to promote the myth that there is a “crisis of antisemitism” in the Labour Party. 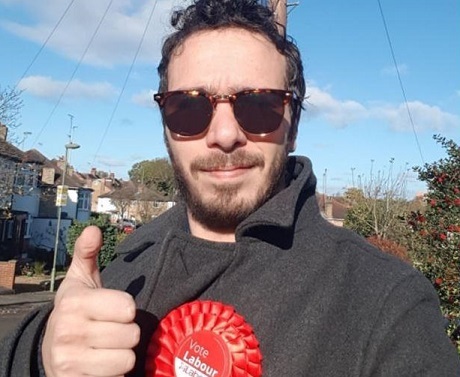 Adam Langleben (pictured), a Labour councillor from Barnet, provoked a minor media furore when he took to Twitter on 28 November to release screenshots of antisemitic material he had found on social media. Langleben stated that he had sent the screenshots to the Labour Party and informed them that the author was a member of his own CLP. Yet despite being provided with this clear evidence of antisemitism, he asserted, the party had failed to institute disciplinary proceedings. As Langleben no doubt intended, this was seized on by the anti-Labour media in order to promote the familiar narrative that under Jeremy Corbyn’s leadership the party has refused to deal effectively with antisemitism in its ranks. The story was first reported by the Jewish Chronicle (“Jewish councillor accuses party of failing to discipline Labour member over antisemitic posts”) and the Jewish News (“Labour councillor criticises inaction over ‘anti-Semitic’ member”). Then, following the Labour Party’s announcement that a member had now been suspended, the story was repeated by the BBC, the Times, the Daily Mail, the Evening Standard and Pink News. All took their lead from Langleben in reporting that he had exposed an antisemite in the Labour Party but the party had initially done nothing about it. The story was far from convincing. Was it likely that the Labour Party’s compliance unit, which in the past has shown an enthusiastic commitment to suspending members over allegations of antisemitism even when these are entirely spurious, would refuse to take disciplinary action against someone who had posted the material that featured in Langleben’s screenshots? 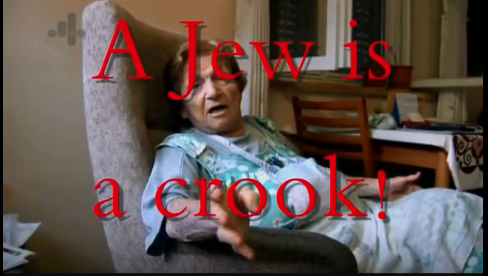 Scepticism was reinforced by the fact that Langleben is campaigns officer for the Jewish Labour Movement (formerly Poale Zion), which has played a despicable role in whipping up hysteria over antisemitism in the party. Indeed it has been reported that Langleben himself was centrally involved in the notorious stitch-up of Jackie Walker over her contribution to a JLM training session at the 2016 Labour Party conference. Regarding his latest claim to have identified an antisemite in the party, the JC quoted Langleben as saying: “To my mind, it’s such a clear cut issue — there’s no ambiguity in this one.” Yet, despite this lack of ambiguity, Langleben still refused to identify the individual to whom he had attributed the antisemitic material in the screenshots. This suggested that he lacked definitive proof of authorship, and was worried that if he publicly named the alleged perpetrator he might be sued. But he was indignantly demanding that the Labour Party should take disciplinary action based on that same evidence. 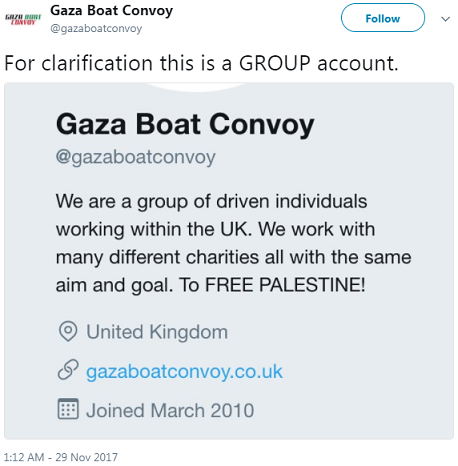 The antisemitic material Langleben released was mostly taken from the Gaza Boat Convoy Twitter feed, which he claimed was run by the party member in question. But the account itself states: “We are a group of driven individuals working within the UK.” A pinned tweet from 29 November emphasises: “For clarification this is a GROUP account.” So you can see why the Labour Party might have been hesitant to take action, based on those screenshots. It wasn’t the result of softness on antisemitism, but of a reluctance to launch disciplinary action based on anonymous tweets from a group Twitter account, the authorship of which was unclear. However, the Labour Party then resolved the issue of the accused individual’s name by “inadvertently” releasing it to the Jewish Chronicle. In an email to the JC, a party spokesperson stated: “Laura Stuart has been suspended from Labour Party pending an investigation.” This was then amended in another email sent seconds later which read: “A Labour Party member has been suspended from Labour Party pending an investigation into this case. The Labour Party is committed to challenging and campaigning against antisemitism in all its forms.” Perhaps I’m being over-suspicious here, but it does look as though someone in the compliance unit decided to release Stuart’s name in a way that could be excused as an administrative error. So the identity of the accused is now in the public domain. Some critics have condemned the naming of Laura Stuart – understandably, given that other party members who have been placed under investigation have been subjected to harassment and abuse after their names were released to the media. Stuart for her part has placed the blame on Langleben himself, rather than on the Labour Party. In a statement published by 5Pillars, she attacked him for having “put my personal safety at risk” by posting screenshots of antisemitic material with which she could be associated. It’s difficult to summon up much sympathy for Stuart, though, given her past record. I was briefly a Facebook friend of hers some years ago (as I recall, we’d come into contact while opposing a witch-hunt launched by Harry’s Place against Islamia Village back in 2012) but I soon unfriended her because of the antisemitic material she regularly posted. I remember asking her if she was paid by Mossad to promote this racist crap as part of its campaign to discredit the Palestinian cause. But that was a little harsh. The truth is she just did it for free. In those days Stuart posted on Facebook in the name of Laura London but she now appears to operate under a slightly different pseudonym. Check out the Facebook page of one Laura Macdonald London, who describes herself as “Member of Viva Palestina I & 3. Mavi Marmara passenger” – which coincidentally happens to be the case with Laura Stuart too. In 2010 the Muslim News published a list of UK citizens who were aboard the Mavi Marmara when it was attacked by Israeli commandos. At the top of the list was Laura Macdonald Stuart. As Stuart herself has pointed out, in her statement published by 5Pillars, “there is only one female Mavi Marmara passenger residing in Barnet”. Namely herself. That would presumably be a reference to the Gaza Boat Convoy Twitter account. There is certainly evidence that Stuart is connected to the account – indeed, I very much doubt anyone else uses it. However, as I’ve already pointed out, this is nominally a collective effort by “a group of driven individuals”. So Stuart’s predictable defence, as outlined in an article for 5Pillars, is that she cannot be held “personally responsible for every tweet from what is a group account”. She will presumably claim that the antisemitic tweets of which Langleben provided screenshots were written by other Gaza Boat Convoy contributors. Except for one of those tweets. 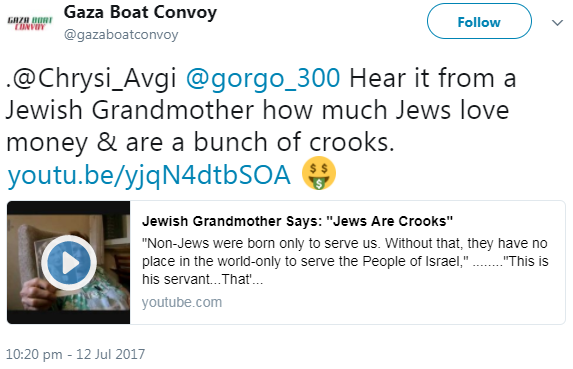 In an article posted on the website of Israeli-jazz-saxophonist-turned-raving-antisemite Gilad Atzmon, of whom she is a great admirer (“he is shining a light onto the real issues”), Stuart helpfully admits to responsibility for a Gaza Boat Convoy tweet in which she wrote: “Hear it from a Jewish Grandmother how much Jews love money & are a bunch of crooks.” In all seriousness, she asserts that she has been misrepresented because Langleben’s screenshot of the tweet was cropped to obscure the fact that she had linked to a Youtube video which used an extract from Defamation, a documentary film on antisemitism by Israeli director Yoav Shamir, whose 94-year-old Zionist grandmother was responsible for the contemptuous remarks about Diaspora Jews that Stuart summarised in her tweet. Stuart claims that “Adam Langleben operated in a duplicitous manner in a clear attempt to deceive”. Quite how Laura Stuart thinks it helps her defence to admit to having linked to this particular Youtube video is anyone’s guess. 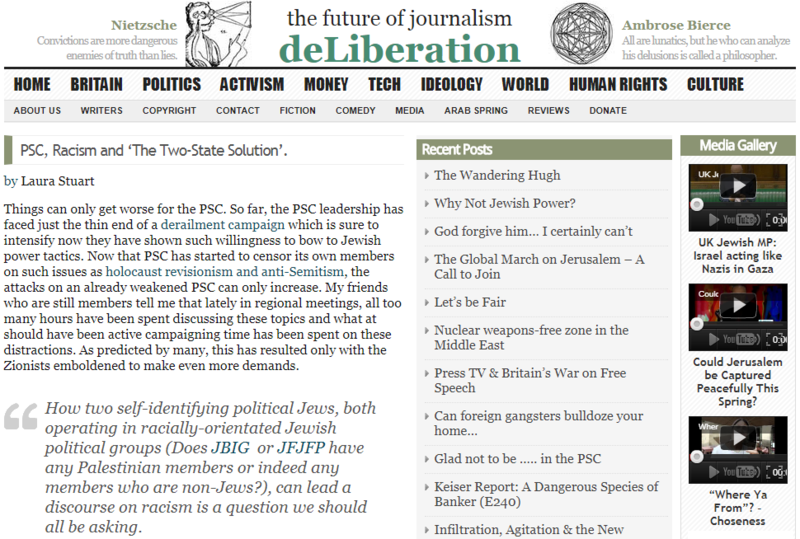 In an attack on Tony Greenstein and Naomi Wimborne-Idrissi, two anti-Zionists who had played an important role in combating the Atzmonites in PSC, Stuart wanted to know “how two self-identifying political Jews, both operating in racially-orientated Jewish political groups (Does JBIG or JFJFP have any Palestinian members or indeed any members who are non-Jews? ), can lead a discourse on racism”. Indeed, she denounced such Jewish opponents of antisemitism as a fifth column within PSC who had joined with the organisation’s Zionist enemies to engage in “Jewish bullying tactics”. Stuart concluded that PSC was a lost cause because of its “take over by Jewish lobby groups”. Is this the sort of person who should be a member of the Labour Party? I don’t think so. 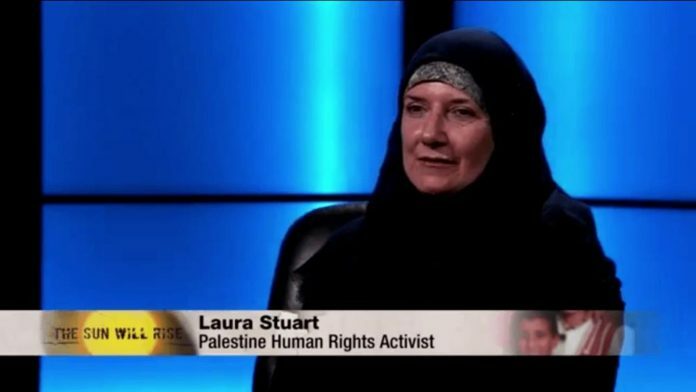 In an article for 5Pillars (“My voice has been silenced and I’ve lost faith in mainstream activism”) Laura Stuart now portrays herself as the innocent victim of a Zionist campaign aimed at driving a supporter of Palestinian rights out of political life. She suggests, unconvincingly, that the reason for the Labour Party’s decision to suspend her was the comments she had made the previous evening at a Labour activists’ meeting where she criticised the Jewish Labour Movement over its line on Israel. You wouldn’t guess from Stuart’s version of events that she has, as shown above, an established record of mixing support for the Palestinian cause with open expressions of hostility towards Jews. Maybe I’m being naive, but I do think that in this case it was probably her antisemitism rather than her pro-Palestinian politics that prompted Adam Langleben to angrily demand Stuart’s expulsion. Not that this justifies Langleben’s methods. As I’ve already noted, his approach to getting Stuart thrown out of the Labour Party was arrogant, incompetent and politically irresponsible. He evidently expected the party to apply disciplinary measures against her on his say-so, based on a collection of anonymous tweets whose authorship he couldn’t prove. And then, when the party refused to act according to his instructions, he unleashed a media campaign aimed at smearing Labour as soft on antisemitism. There would in fact appear to be a good case for disciplinary action against Langleben himself, as his behaviour has clearly brought the party into disrepute. But that isn’t an argument for defending Laura Stuart. The fact that Langleben’s screenshots didn’t constitute properly substantiated evidence of Stuart’s offensive views about Jews, and he just tried to bully the Labour Party into expelling her anyway, is no reason to let her off the hook. As was the case with Gerry Downing and the Socialist Fight groupuscule, with their crackpot theory about the vanguard role of the “international Jewish-Zionist bourgeoisie”, her genuinely antisemitic views have handed the anti-Labour media a stick with which to beat the party leadership. Not content with having previously damaged the good name of the Palestine Solidarity Campaign, she now inflicts the same damage on the Labour Party. In my opinion, she has no place in either.